It’s Meet the Design Team Day!!! Meet Sarah! I don’t know about you, but in our Family, we LOVE snacks. Sometimes, Owen and I even have a snack party….Shhhhhh! I wanted to document this and the orange colors from the Kiki Art Familia Collection where perfect. 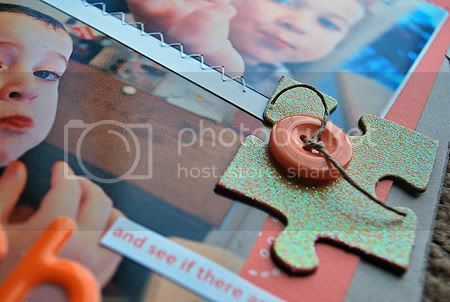 And don’t forget the totally FUN glitter puzzle pieces. Woho! So cool! Love it! Cool layout, I really love the puzzle pieces! So cute! Makes me wanna run to the store for some Cheetos!!! 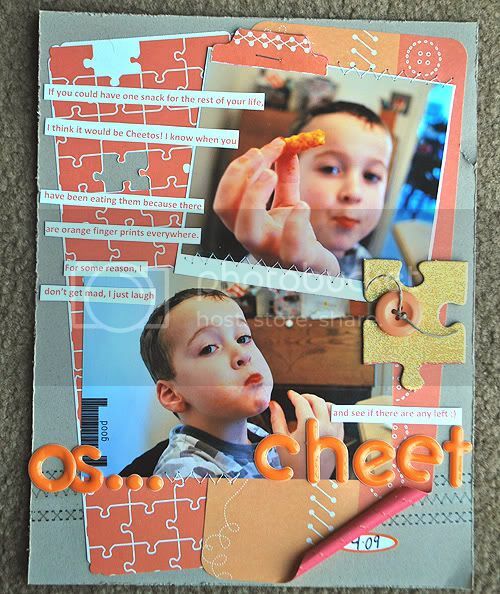 Ellen, this layout is fabulous and so much fun!